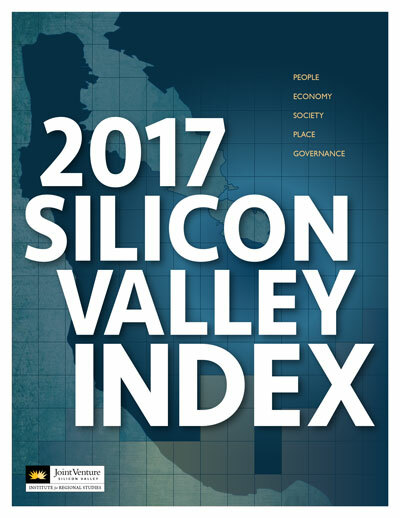 Thank you for your interest in the 2017 Silicon Valley Index! Joint Venture Silicon Valley has been telling the Silicon Valley story for the past two decades. Updated annually, it is a comprehensive report of indicators that measure the strength of our economy and the health of our community, highlighting challenges and providing an analytical foundation for leadership and decision making. The nearly 100-page report is a treasure trove of data that paints a holistic picture of life in Silicon Valley. A dynamic and interactive website allows users to download data and charts from the report to help drive business, policy, and other critical decisions for the region. We are happy to provide the Index as a free resource to the community. Click the button below, and you will be redirected to a Google form that will guide you through the steps to download the publication.